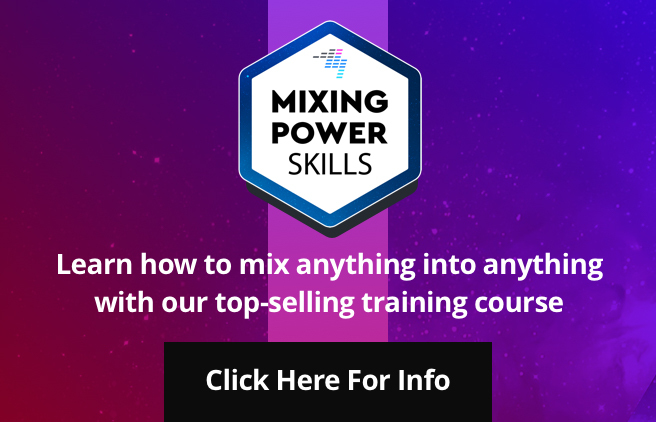 Want to take control of your lighting, or understand what that ‘lighting mixer’ is doing in the DJ booth? Then you need to understand DMX, which is what we look at today. 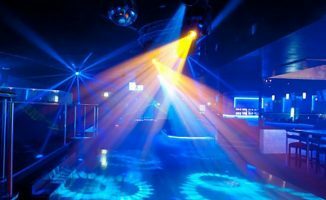 In Lighting: A Guide For DJs, Part 1, we made the case for knowing your stuff when it comes to lighting, and introduced the idea of “intelligent” lighting. Now in this part, we dive into the world of DMX. 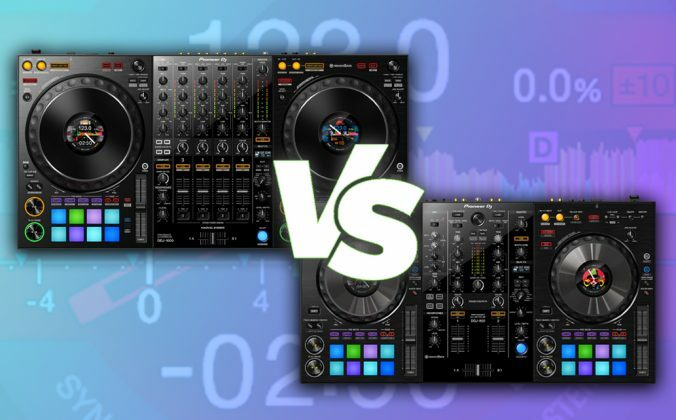 It may seem a complex subject on first read, but persevere: A DJ or VJ should always have full control of what is going on, and only DMX will enable you to have total control over your lights. As a reminder, this guide is separated into this written guide and a video. The video is a hands-on guide that shows you elements mentioned in the written part, so please read this whole section before diving into the video, which appears at the end. So there’s the background. 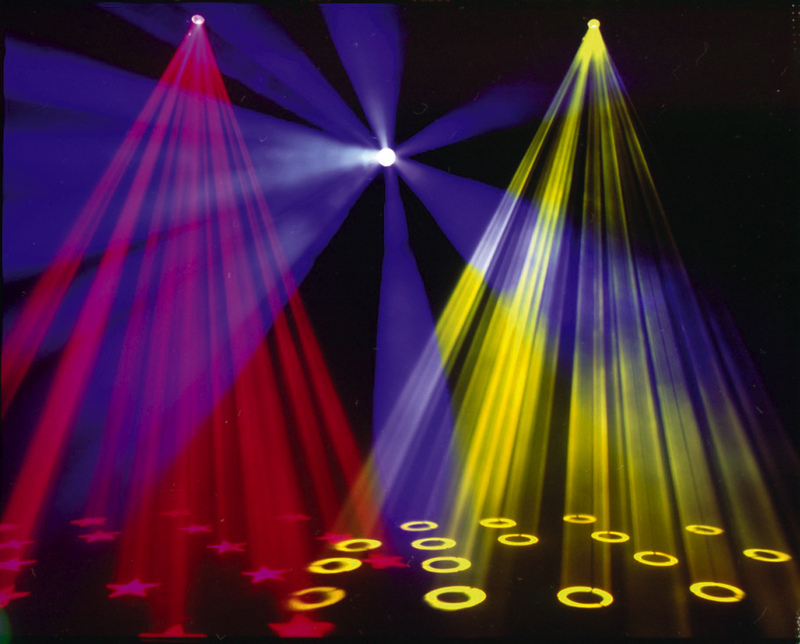 From a DJ’s point of view, what that means is that DMX is used to communicate to lights in a standardised matter. So no matter what manufacturer your lights or DMX controller are from, as long as they are compatible with DMX they will work together. 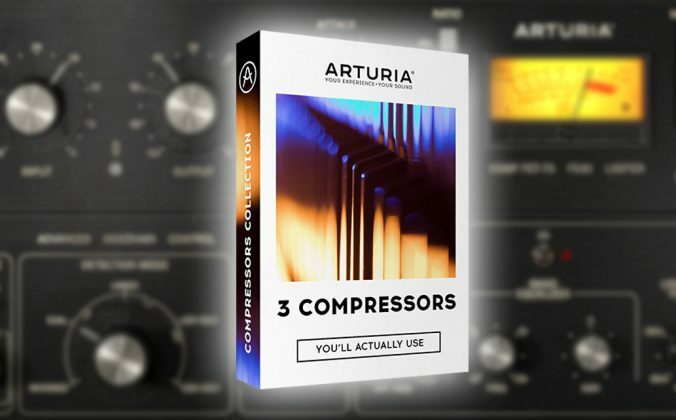 Think of it as “Midi for lighting”. A DMX controller. It looks a lot like an audio mixer, and it does much the same thing, giving you control over your individual lights, connected together by daisychained cables. Controller -> Light 1 -> Light 2 -> Light 3 -> etc. DMX uses standard XLR cables, which you can get in many shops and which you may well know from our PA system or even DJ controller. In many cases even XLR microphone cables will work, however if you are running lots of lights, I recommend getting special light XLR cables. For each light to know when it is its time to be controlled, it needs an “address”. This is because basically all lights get all the information, and so they need to know which information is for them. The addressing schema for DMX is really simple. For example if your first light can be controlled via 16 channels and your give it address “001” then the next light needs to be at address “017” (16 channels later). If this uses 16 channels again the third light needs to be at channel “33” and so on. This is a DMX lead. Looks familiar? 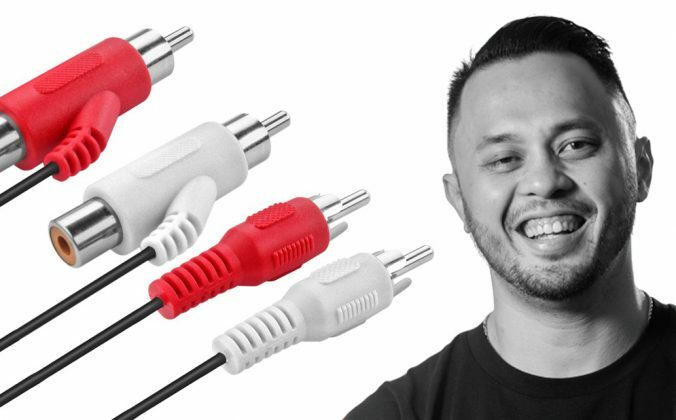 That’s because DMX leads are basically the same as audio XLR cables. 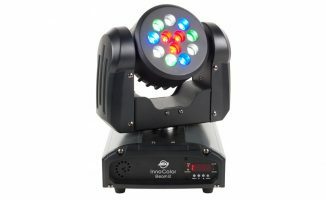 Most new lights, like the ones from ADJ we use in our video, have an LED screen where you can simply adjust the address by pushing the designated buttons. Some older lights use dip switches that are binary encoded. To know which dip switch to put in the on position for the address you need, ADJ has a simple table for you here. Hence in my above example if I wanted my second light to have channel “017” I would need the dip switches 1 and 5 to be in the ON position and all others in OFF. It’s a little bit more hassle as you need to check the table for tuning the address, but you can simply print out the chart before you set up. And this is basically it. No magic and not as complicated as many may wish you to think. If you understand the basics of daisychaining the lights with XLR cables and the need for each light to have an address, you are ready to go on and watch the hands-on stuff in this week’s video. One bit of advice at the end: If you are using a lot of lights and you get a lot of XLR cable length you might need to use a so-called “DMX terminator” on the last light. That terminator is a simple DMX plug with a resistor in it, so you get less signal loss when daisychaining so many lights. 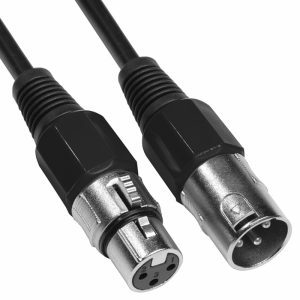 You can get such a DMX terminator from most stores that sell you XLR cables or lighting gear. I always have a few in my “tech case” and I recommend you have at least one. 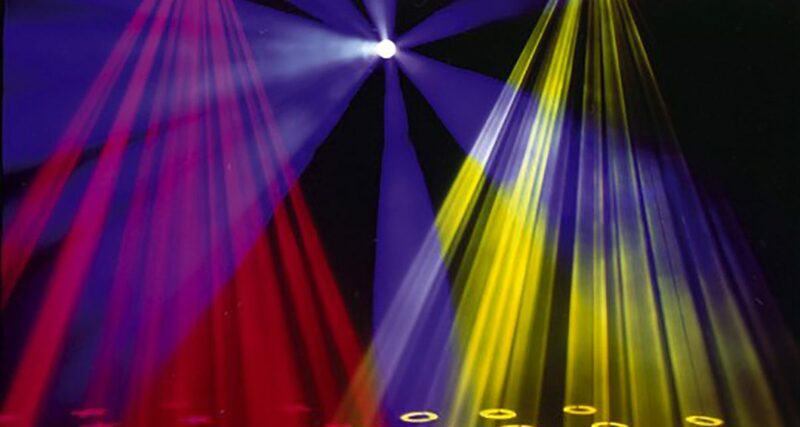 Next week we’ll look at how to programme your light show. 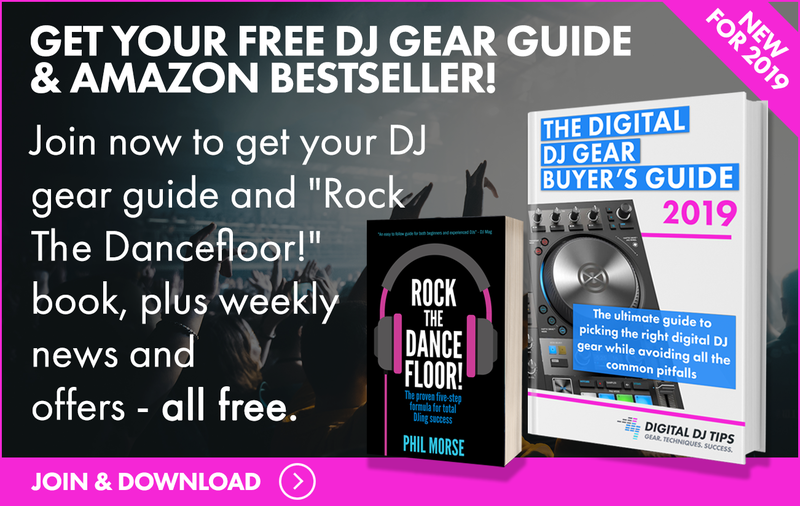 I’ll also give you advice on how to choose lighting gear, should you be in the market for owning some lights of your own (rather than just understanding that esoteric lighting desk in your local DJ booth!). • A veteran DJ and Digital DJ Tips’s resident PA and lighting specialist, Terry can also be found moderating the Digital DJ Tips Forum. Got questions, queries or comments to do with lighting, DMX, cables, daisychaining, or anything else to do with setting up lighting? Feel free to ask away in the comments. This was very helpful being a DMX novice who knows that how I can expand my wedding / private party business. Thank You! I’m very interested in this series by the way, excited to see where it goes. At your service! Anything in particular you’d like to know? Thanks Terry, I am finding this series very useful! I am thinking of buying a Chauvet Obey 10 DMX Controller and I assume that after going to the trouble of programming scenes these are all saved the next time I turn the controller again? 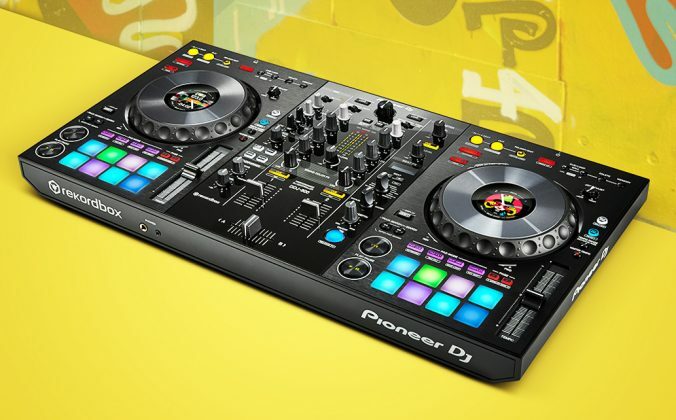 Also, as a mobile DJ, would this be the right controller to buy? Yes scenes should be saved in the controllers memory even if you turn it off. I am not familiar with that Chauvet model, but it works flawless on any of the many many controllers I have used over the years. 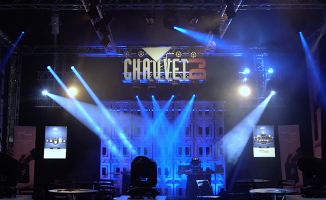 I cannot comment on the Chauvet controller as I am not familiar with it, in the series I use an Elation DMX Operator II and it is excellent for beginners and pros alike. Very good info.. Thank you for your time. DMX programming is rather easy. I used to be intimidated by it but once I had a system to use, I found it very straight forward. I use the American DJ myDMX system which is software with a hardware box that is a USB to DMX set up. I run laptop separate from my dj laptop with a midi controller (Novation Launch Pad) to trigger my lighting scenes, strobes, etc. It’s super fun to “play” the lights on a midi controller while I’m DJing. I agree that simple scenes are pretty easy to set up, but there are times when you implement some more advanced scenes that things get a little more difficult… such as color chase lighting or control of intelligent light positioning. I am using a DMXIS and i have it running with Traktor and Ableton. I have the traktor Midi clock sending msgs to ableton just for bpm control for dmxis. It’s just running though the banks i have made, but i am going to make a few clips for key songs like Grand Entrance and first dance. I am excited to use it in this way for the first time in Jan. If we’re going the USB route we may as well start mentioning the luminaire and enttec apps. Hit YouTube for these to see what’s possible to control your dmx with Apple apps. It’s the future train really. If I was going to invest 1-200 bucks and a weeks learning curve. That’s where I’d do it. Yes many of the iOS to DMX apps show a lot of promise and there are even some that come with their own tablets. But there is still a lot of proprietary things going on, but I have high hopes for such solutions in the future as well. Hi Phil! on YT, the link in the Description is wrong! I’m using controllers and dmx as a mobile DJ for 4-5 years. I know they exist but I’ve never seen a 5 pin dmx either in or out and I own Chauvet and adj LEDs and controllers. I’ve never used anything but XLR. Maybe hi-end they’re required to send more signals but most certainly not at the mobile market. 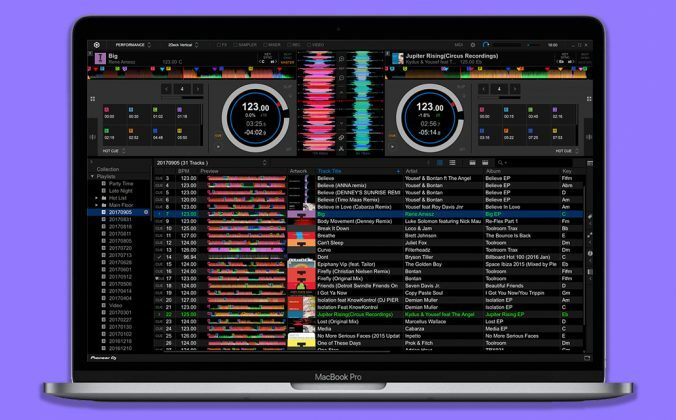 I use DMXis which is a pretty basic windows/osx dmx controller. Super smooth and you can use touchosc to make your own MIDI controller to program your own dmx controller. 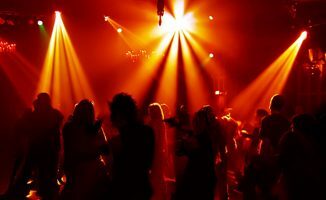 Internal programs and sound programs are super, but once and a while you need to make the venue red or green and than your own programmed scenes come in very handy.